12/12/2014 – Update v3.5 Custom stacking objects, Workshop Improvements, & much more! Stacking custom objects was a much requested feature and now we have it! Stack your custom objects just like the poker chips do! Promoted players can now spawn saved objects, and you can also now subscribe to the workshop and have it download without restarting the game! And of course there are a lot of other great improvements as well. 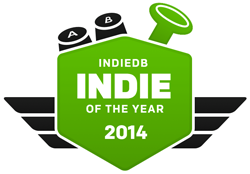 We were also chosen as one of the top 100 games for Indie of the Year at IndieDB, so please vote for us to make the top 10! If you missed it, our latest tutorial series video is now live. This one is all about the RPG Kit. Check it out! 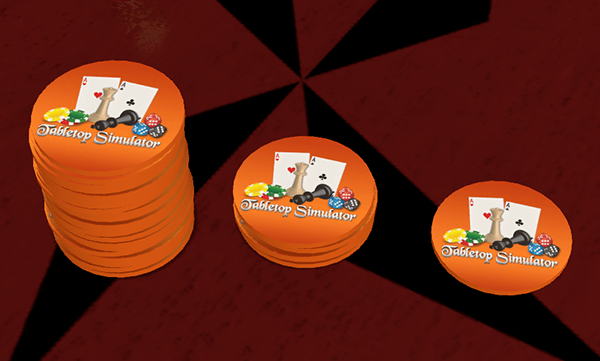 Choosing type ‘Chip’ from the custom model importer will allow your custom objects to stack just like the poker chips do. Create your own stacking currency or something new altogether. Custom colliders will not work with the new stacking type. Checkers can now also be stacked to make your Kings even more noticeable. Improved the spawn position when removing an object from a stack. Promoted players can now spawn objects from their saved chest. Anyone on a server can now save objects to their chest for future use. NAT punchthrough is how the game establishes connection behind peoples’ routers without having to port forward. 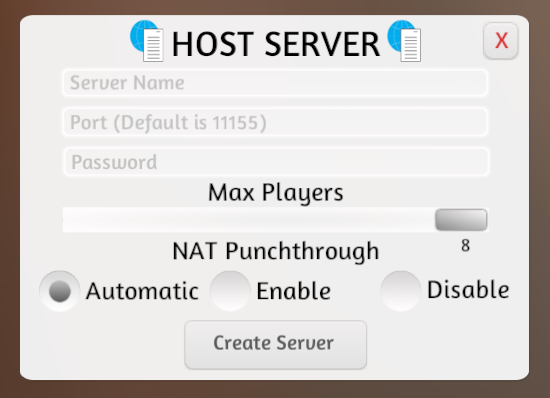 You can now toggle between automatic, enable, or disable NAT punchthrough when hosting a server. Most people should be fine with automatic, but if you are having trouble hosting try /testconnection in game, port forwarding 11155, and change NAT settings. Automatic works by checking and seeing if you have a public address, if you do not then NAT is enabled. Blocked players are now saved to the BlockList.json in ‘Documents/My Games/Tabletop Simulator’. Blocked players will no longer reset when you reset your settings. Human readable list thanks to the json format. You no longer must restart the game after subscribing to a mod on the Workshop, it will download while it’s running. Workshop Game list will automatically repopulate with new subscribed mods if open when subscribing. Added an Open Workshop button in the Workshop Game List that opens the Workshop in the overlay. Overall object physics improvements when adding and removing objects (stacks, bags, decks, etc). Grid snapping will work at low lift height, but not when lowering an object with ‘T’. Number key actions like rotate dice or RPG kit animations now work with the numpad as well as the normal number keys. Optimized bag saving to reduce autosave stutter with many bags. Boards from the chest can be drag and dropped spawning at that location like other objects. Added error check to custom model mesh generation. Slightly improved the stop card search animation. Fixed issue shaking an object would cause it to rotate incorrectly for clients. Fixed the achievement “Speed Machine”. Fixed gravity getting stuck on zero gravity. Fixed Steam Cloud to work with the new Json save format. Fixed the smooshed description field when right clicking on a deck. Fixed boards being spawned from the chest menu not showing up for other players. Fixed sideways property being lost when resetting a deck. Fixed search stack being visible on transparent tables. Fixed collision issues with camera. Fixed some stack objects properties that weren’t being transferred properly. Fixed mesh download bar cleanup. Fixed removing chips from a scaled stack causing it to fall over.